Concert number two of 2018 was quite a surprise, a really pleasant one! 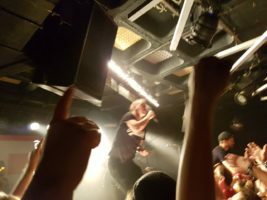 Rogers, a young German Punk Rock band, that even with minor troubles, made everybody jump, sing along and feel part of a quite big family. 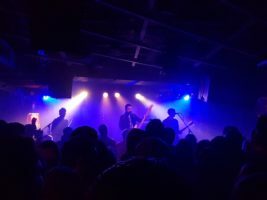 The support band was also not as expect, but way better, their Spotify sound does not agree with their live performance! 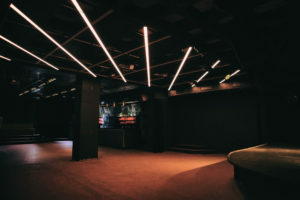 Small and cosy, the “Schwarzes Zimmer” is one of two concert rooms in the venue. 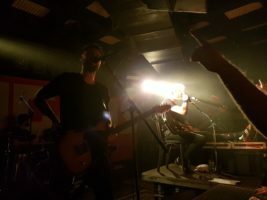 The Punk-Rock band from Düsseldorf, ROGERS, formed by Chri Hoffmeier (voice/guitar), Nico Feelisch (Guitar), Artur Freund (Bass) started playing in 2006 under the name “Notaufnahme”. Later Dominic Sbarcea (Drums) join the band and the name was changed to what we know today: ROGERS! 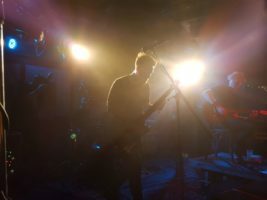 The melodic soft punk-rock band has clear texts that speaks out against anti-Semitism, xenophobia, violence, the old German rock movement and their politically unclear position. They are also critical of topics like patriotism. This is what makes ROGERS what they are and explains there rising success. 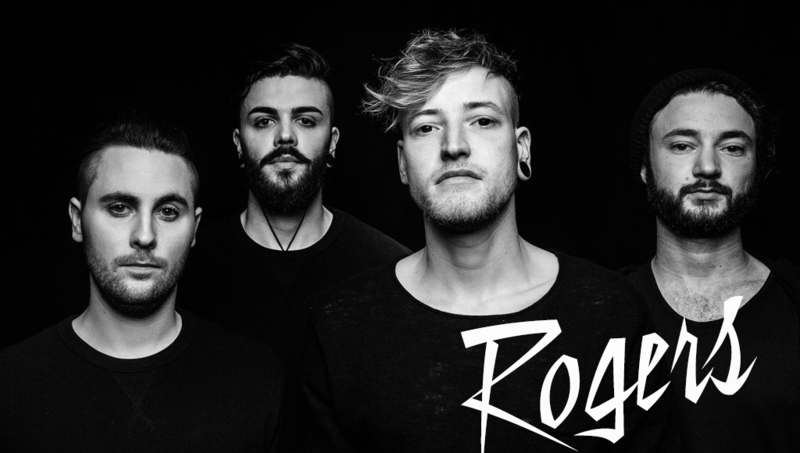 In 2017 ROGERS brought out a new album called “Augen auf” (something like” Open your eyes”) and are on tour with it, They decided to name the tour after one of the songs and I can clearly see why! 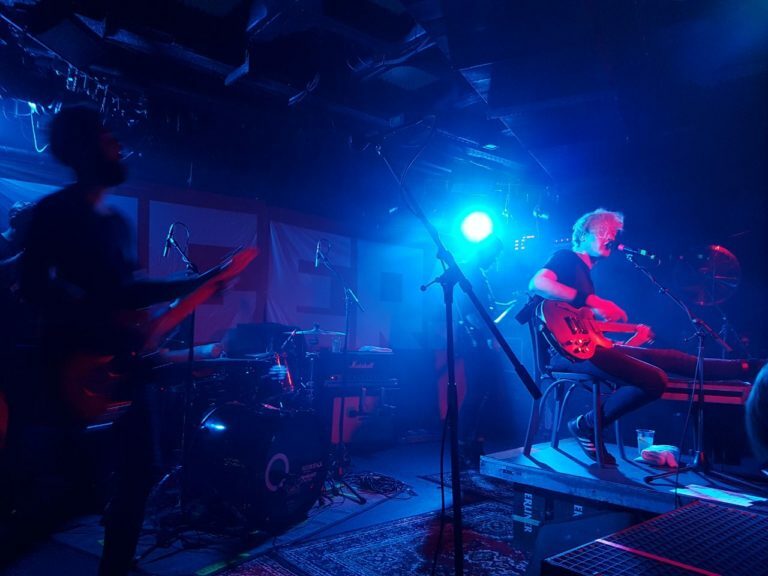 ” Einem Scheiss muss ich” translates roughly to “I don’t have to do anything” which matches the new album and the bands song history pretty well about being yourself and affirming that not being like everybody else is more than OK, it is what makes you, you! The small room in Musik & Frieden was the perfect set up in my opinion. The support act was amazing warming up the crowd and setting up the mood. 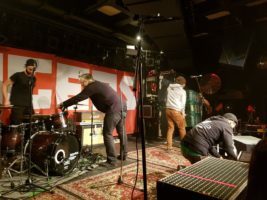 ROGERS started on time, but as the roadies were setting up the stage we could see something unusual and really “Berliner”. 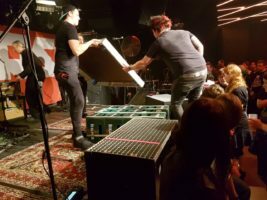 There was a small extra stage, made from old beer boxes, being put in the middle of the stage. 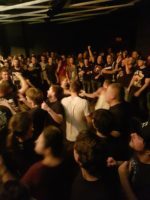 Surprisingly for me, Chri Hoffemeo, the vocalist, had a broken leg and played sitting, which of course is not the ideal atmosphere maker for a punk-rock show, but it didn’t changed anything at all! The concert went as crazy as it could get with songs from their new album and some of the more known songs, like ” Kreuzberge Nächte” which had the illustrious presence of a drunken guest on stage which the band took really well and made him part of the show, and that’s what I love about the small concert spaces in Berlin, you can almost be with the band. No gates between stage and crowd, no oversized security guys and you are right there looking almost in the bands eyes. As it could not be missed, a couple of beers went by, a Capri Sun was delivered to the stage (apparently Chri loves these) and the mood was getting better and better. A lovely good by, no stage leaving this time, for obvious reasons, a nice 3 song encore and it was a perfect end to a really amazing concert. If you have the chance, I would highly recommend watching a ROGERS concert in the future, even if you don’t speak German!